Do movies have a length problem? Do you remember when a long movie spoke to its (I cringe to use the word) epic quality? When every moment felt precious and you didn’t notice the time? I’m going to say, maybe the 90s. Because now, every bozo with a computer and/or camera, thinks that the average movie length is two hours. Which it isn’t. Under much protest, in 2011 I went to see Ron Howard’s The Dilemma for my little sister’s birthday. If you don’t know The Dilemma, I’m sorry to have to bring it to your attention. 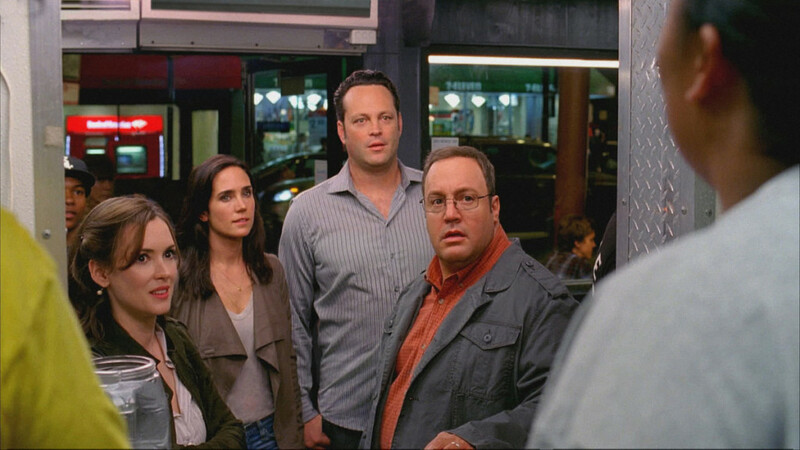 Essentially, Kevin James and Vince Vaughan are best friends. Vince Vaughan finds out that Kevin James’ wife (Winona Ryder, how the mighty have fallen) is having an affair with Channing Tatum. Vince Vaughan wonders if he should tell his friend. This could be the content of a scene. It is, instead, the plot of an 111 minute long feature. Movies have grown woefully indulgent in terms of their length. They’re not aware of their expiration date and they don’t care about accidentally poisoning us. Let’s look at Martin Scorsese’s last three movies for example. The Wolf of Wall Street – 180 minutes. Hugo – 126 minutes. Shutter Island – 138 minutes. Not even Hugo, his family film, or Shutter Island, generally regarded as the worst of his most recent endeavors, can escape this laborious treatment. Have we lost the ability to edit or refine? Have we entered an age so narcissistic that a condensing of thought is considered blasphemous? Or have we simply disengaged the parts of our brains that check in with our audiences? Whatever it is, let’s cut it out. I know in an artistic climate such as this one, where your next movie might be your last, there’s an urge to pack it jam-tight with every thought and expression. However, this consolidation is in the spirit of betterment. With every unnecessary scene that makes it in, the viewers grow resentful. Meanwhile, with every great short song and every great short film, I find myself going “wow!” What a novelty to want more of something. It’s always embarrassing and frustrating to discover old adages past on from previous generations hold water, like that of, “leave them wanting more.” But, at least in this regard, they’re right. « If There is Going to be Another Die Hard, Can I Write It?